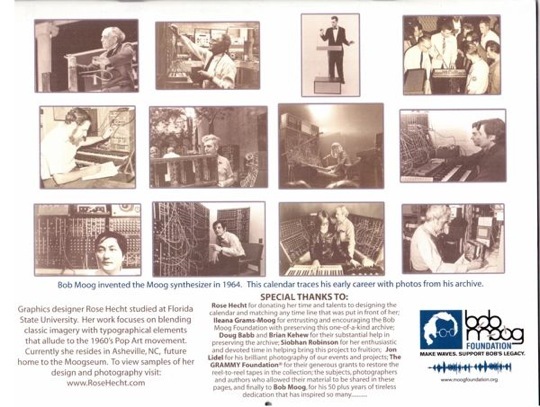 A perfect gift for anyone with an appreciation for Bob Moog’s engineering mastery, the 2010 Bob Moog Foundation calendar features quotes and info combined with photos straight from the synthesizer creator’s archives. 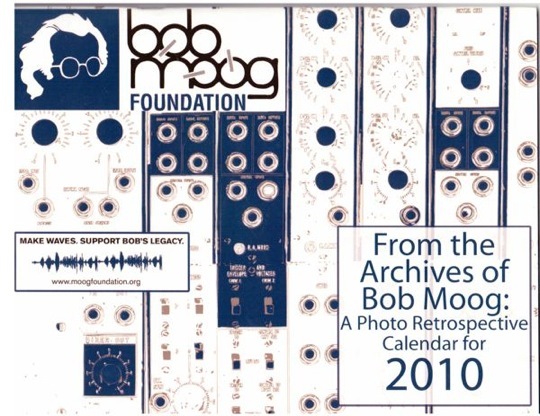 Grab one for only $20 at the Moog Foundation shop. Back calendar cover after the break! I and my pals came viewing the best items found on the blog and so all of the sudden got a horrible feeling I had not expressed respect to the blog owner for them. The men were definitely for this reason passionate to study them and have simply been tapping into them. We appreciate you turning out to be so helpful and then for picking out these kinds of incredible things millions of individuals are really eager to know about. Our honest regret for not expressing appreciation to you sooner.